I didn’t know what the first post should be about so I decided to share part of my collection. 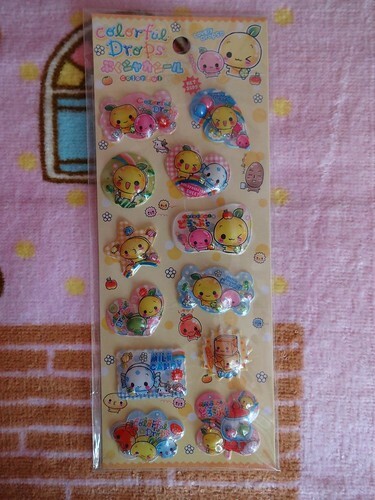 I’m not really into stickers, I like them, but they’re not one of my “obsessions”. 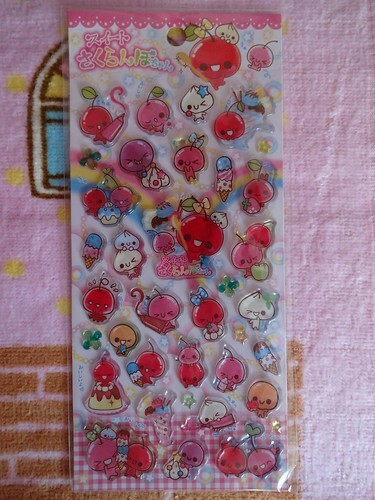 Anyway, I do have some sticker sheets and some sticker sacks. 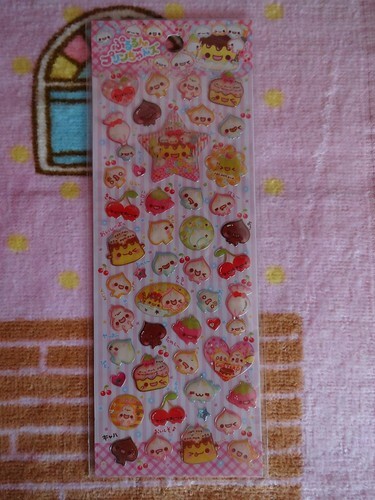 There are many different types of stickers in Japan, in Argentina most stickers are holographic or simply made of paper. 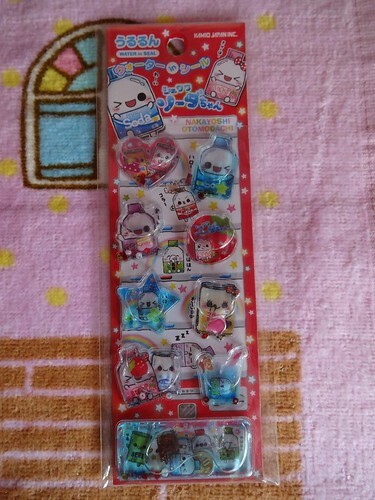 For those who don’t collect kawaii, I’ll show you a variety of stickers. No sabía sobre qué debería ser el primer post así que decidí compartir parte de mi colección. 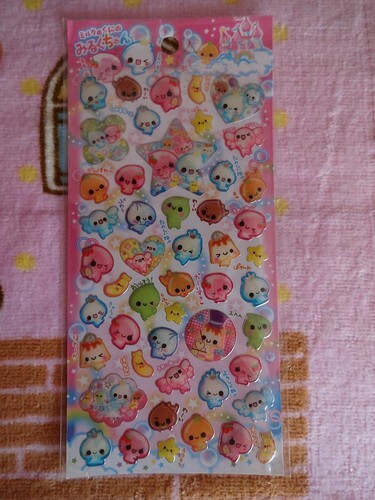 No soy fan de los stickers, me gustan, pero no son una de mis “obsesiones”. De todos modos, sí tengo algunas planchas de stickers y algunos sacos de stickers. 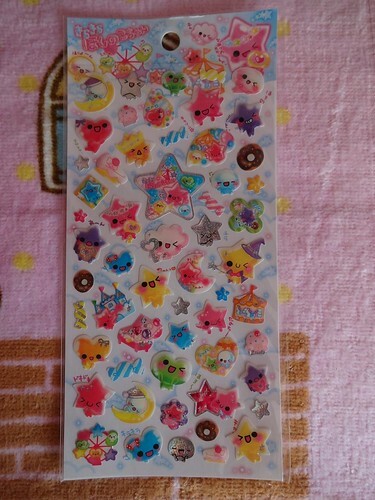 Hay muchos tipos diferentes de stickers en Japón, en Argentina la mayoría de los stickers son holográficos o simplemente hechos de papel. 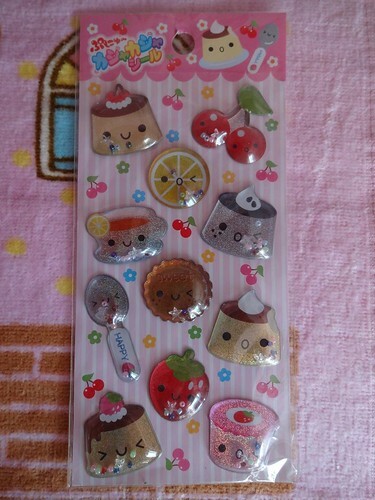 Para aquellos que no coleccionan kawaii, les mostraré una variedad de stickers. 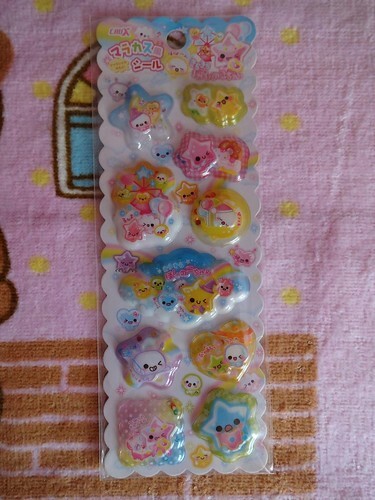 These are like regular stickers coated with plastic. 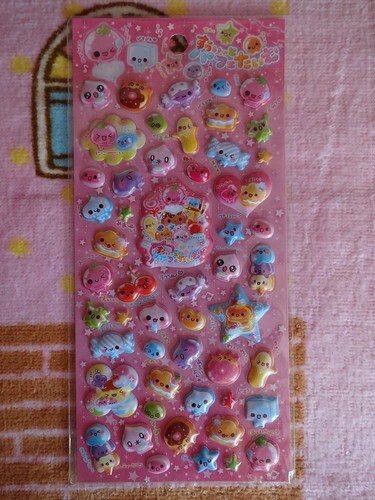 Español: Estos son como stickers comunes pero cubiertos en plástico. 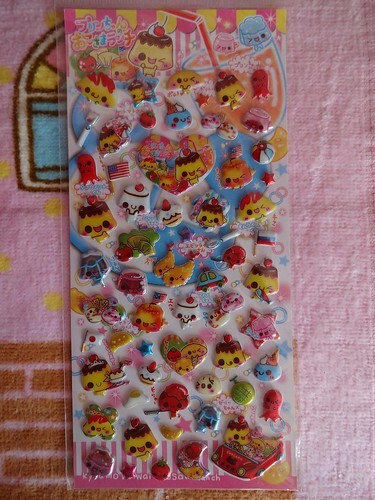 These are similar to epoxy stickers but they’re not only coated, there’re inside a plastic “shell”. 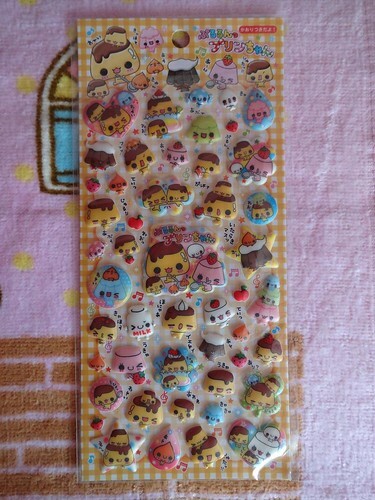 Many sticker sacks are like this. Español: Estos son similares a los epoxy stickers pero no sólo estan cubiertos, sino que estan dentro de una “armadura2 de plástico. Muchos sacos de stickers son así. 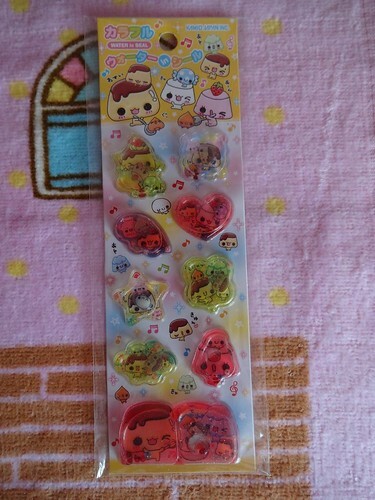 These stickers are soft and filled with air. Español: Estos stickers son suaves y rellenos con aire. 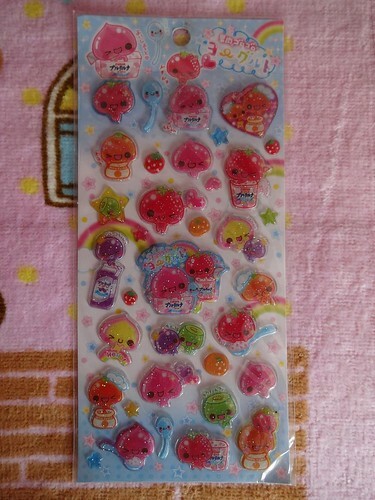 These stickers are similar to puffy stickers but “puffier” and have beads inside so that they make noises when you shake them. 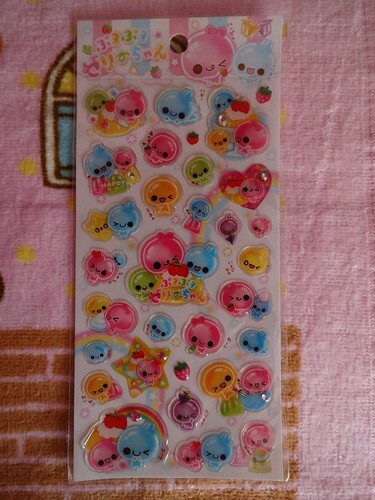 Español: Estos stickers son similares a los puffy stickers pero con más aire dentro y también tienen perlitas y otras cosas que hacen ruido cuando los agitas. 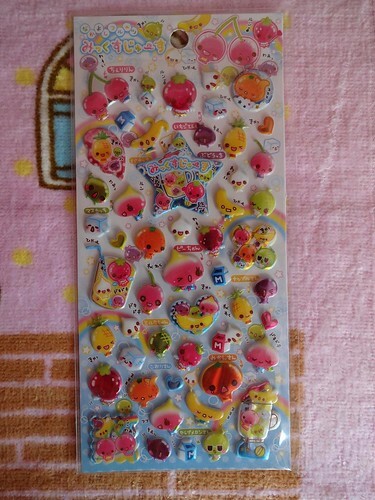 These stickers are filled with water. They usually have beads, glitter, and little figures inside too. Español: Estos stickers están rellenos con agua. También suelen tener perlitas, brillantina, y pequeñas figuras adentro. 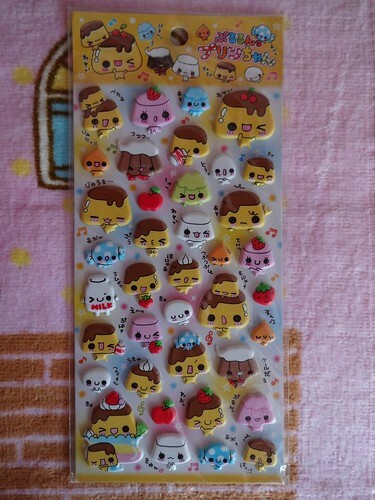 There are must be other types of stickers, you know how creative Japanese people are! Español: Debe haber muchos otros tipos de stickers, ustedes saben cuán creativos son los japoneses!